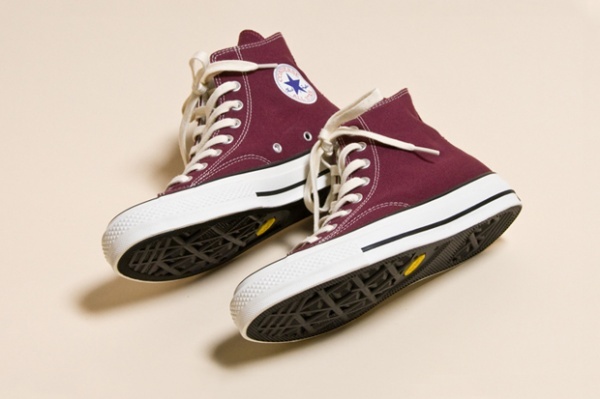 Only from Japan, the selective Converse Addict line unveils a revised version of an age old classic. The Chuck Taylor All Star Canvas Hi is being reintroduced, in efforts to re-establish this classic shoe with some great upgrades. Featuring a Vibram rubber sole for anti-slip for the fast approaching snow and added cushioning with improved lining and new stitching. Keeping with its classic appearance while hitting the road with more upgrades then ever.